Venture Smarter — Malik Media | Branding. Marketing Strategy. Design. 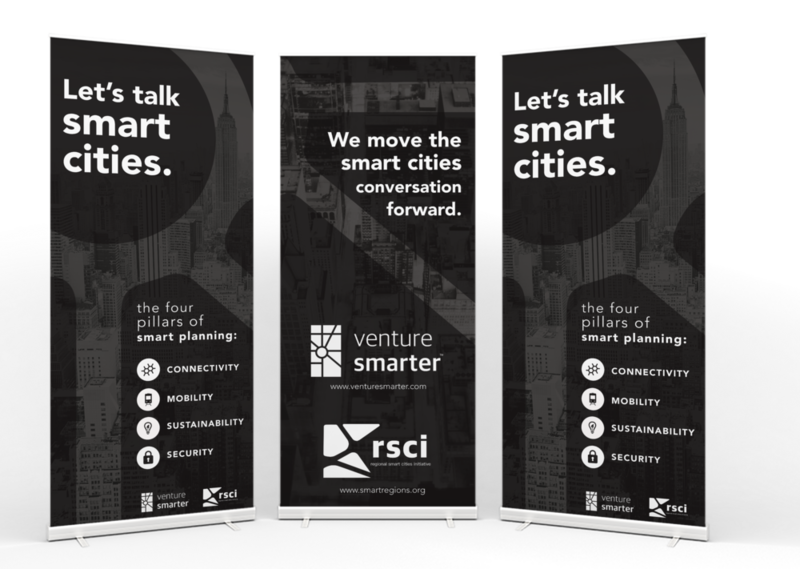 Venture Smarter, a startup focused on Smart City planning, approached Malik Media early on in their company's evolution. Looking for investors and strategic partners, they needed a unique visual brand identity along with marketing assets to showcase at their brand reveal as well as at trade shows. When people think of Smart Cities, they often think of transportation. Hence, we designed a brand mark that if reflective of urban streets, utilizing a black and white color scheme with bold sans serif fonts to convey sophistication and depth.